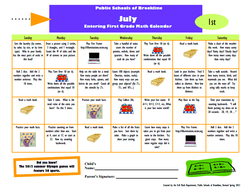 The Brookline K-8 Math Department publishes a summer math calendar each year for students entering grades 1-5. Check it out! The directions are available on the download.